This release presents all known material by a formation of the Horace Silver Quintet that left no studio recordings. 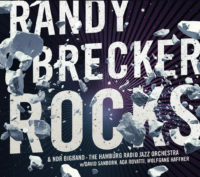 The Brecker brothers had cut three studio tracks with Silver in 1972 (with Bob Cranshaw on bass, and Mickey Roker on drums) and would record the LP “A Prescription For the Blues” with the pianist in 1997 (backed by Ron Carter on bass, and Louis Hayes on drums). 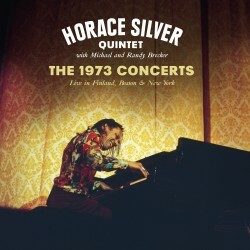 However, Horace Silver’s 1973 touring quintet, featuring the three musicians plus Will Lee on bass, and Alvin Queen on drums, was practically unheard. Only a single track by this formation from a Pescara concert has been previously issued (on a long out of print compilation). This set adds to Silver’s discography three complete concerts by that edition of his group, all three unissued and with excellent sound quality. This edition also includes the aforementioned Pescara track as a bonus.